It’s almost the end of the year (or any other time of the year, doesn’t matter), and you want to buy a new graphics card for your PC. That, or someone you know needs one, and you want to get them the perfect present for the holidays… whether you know your stuff or you don’t, there’s no need to worry. We’ll tell you everything you need to know about buying a graphics card in this article. Below, we’re going to give you a first look at our star GPUs of the year. If you want to learn more about them and how/why we chose them, keep going! 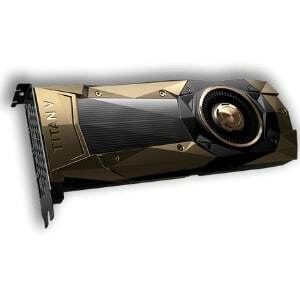 The most powerful graphics card on the market right now-- bar none-- is a beast from Nvidia. While it may soon be superseded by the RTX series around the corner, right now the Titan V continues to hold the highest crown in the land. The Titan V is more than a little bit absurd, but if you want the best, this is it. However, we recommend stepping down to 1080 Ti if you value your wallet in any capacity. The 1080 Ti is Nvidia’s best consumer-level graphics card, and isn’t that far off from the Titan V’s performance. It’s our pick for best Nvidia-specific card and best 4K-ready graphics card...at least until the RTX 2080 comes around. Nvidia dominates the highest of the high end with the Titan V and 1080 Ti, ensuring that those who want nothing but the best possible FPS have nowhere else to go but Team Green. If what you want is raw performance numbers and money isn’t a concern, one of these GPUs are for you. AMD’s best graphics card, no question. Boasting HBM2 memory, the Vega 64 trades blows with the GTX 1080 and is generally considered the better value, albeit at the cost of some thermal problems on the reference design. AMD puts up a fairly admirable fight in the high-end, overcoming the 1080 and 1070 Ti at very competitive prices. This card is ideal for 1440p and VR gaming, but can also handle some 4K gaming. Released as a retort to the Vega 56 dominating the 1070, the 1070 Ti actually has more in common with the GTX 1080 than the 1070. Because of this, it dominates in 1440p gaming at a fair-but-high asking price. The best overall 1440p pick is definitely the 1070 Ti, released explicitly as a Vega 56 killer (RIP) and essentially being a stripped-down 1080. 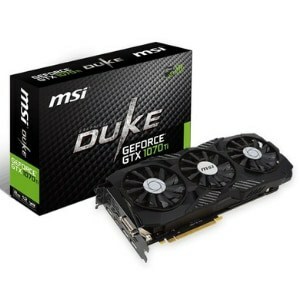 If you want to game at 1440p or 1080p144, then this is a great card to start with. If all you need to do is play at 1080p60 and high settings, then the GTX 1050 Ti is the kind of graphics card that you should be looking for. It won’t push much higher than 1080p or 60 FPS, though, so we don’t recommend it with high refresh rate displays. 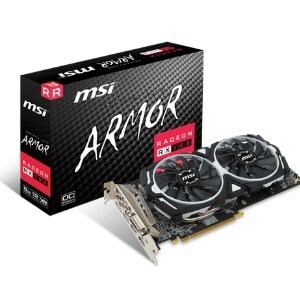 One of two great budget-oriented picks, this card can get you started with PC gaming. Not everyone has hundreds of dollars to drop on a 1080, after all! A true value pick, balanced between 1080p dominance and strong 1440p/VR capabilities. If you can afford it and don’t plan on buying a GPU for a while after this, make the most of your money and buy an RX 580. While more expensive than the 1080p pick, definitely the most value-oriented pick overall. Straddling the line between perfect 1080p gaming and strong VR/1440p gaming, the RX 580 is easily the most value-tailored GPU out there right now. What should I be looking for in a GPU? Truly? It depends on your needs. If you’re on a budget and can’t buy tech often, you’ll likely be looking for either the best value pick or the cheapest card you can find. In this situation, we recommend going for value, even if it’s a bit more expensive than entry-level, that way you can make the most of your purchase and enjoy it for the longest time. If budget isn’t a concern, you should still probably be smart and do your research. You wouldn’t want to drop $1K on a last-gen or overpriced GPU, for instance. You also wouldn’t want to buy super high-end when there’s a new generation of GPU around the corner… unless there’s a significant discount or trade-up program, of course. If you’re somewhere in between… just make sure your needs are being met. If you only game at 1080p, for instance, you’re best with going for a midrange card that will satisfy your needs. If you need to push high refresh rate or high resolutions, you may want to consider a higher-end option… you get the idea. Here’s our top picks. There are only 6 GPUs listed below, but each operates in a valuable niche and any would make a fine purchase for your gaming PC in 2019. Clock Speed - Measured in MHz, clock speed represents the “speed” of the GPU core within the graphics card. These alone don’t determine relative performance, but boosting your core clock speed via overclocking can give you some free performance bonuses. VRAM - Your dedicated graphics memory, or RAM. In general, more VRAM = higher resolutions and better texture quality. GDDR5 - The most common modern VRAM standard. Decently fast, shouldn’t bottleneck in most situations. GDDR5X - An amped-up version of GDDR5 used by Nvidia for their high-end cards. HBM2 - The fastest solution for VRAM, but also the most expensive by a considerable margin. Memory Bus - In massively-simplified terms, the wider the memory bus, the faster the core and VRAM are able to communicate with one another. The HBM2 cards use this to their advantage to greatly increase speed across the board. How good is the value for that level of performance? What is the best AMD/Nvidia graphics card? What is the best 1080p/1440p graphics card? Our goal is to answer these questions to the best of our ability while still providing you with a selection of high-quality GPUs that you won’t regret purchasing. We like to think we succeeded in this goal. Now, how should you pick from this list, since we’ve done most of the work already? What is my target resolution: 1080p, 1440p, or 4K? Do I need to push frame rates higher than 60? 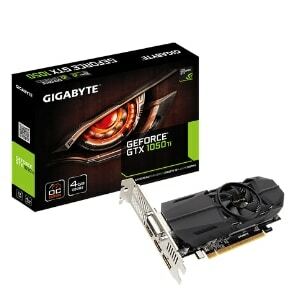 How much can I afford to spend on a graphics card? 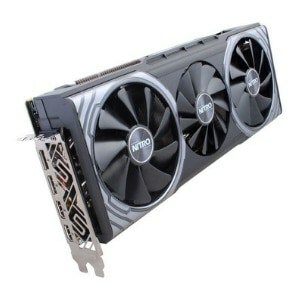 As long as you know the answer to those three questions and read our detailed descriptions of each of the graphics cards listed, you shouldn’t have any problems picking the right card for your needs. You can also choose to leave a comment below if you need our direct assistance. Okay, if you want the most powerful graphics card and you don’t care how much money it costs or how poor the value is...just go ahead. This article isn’t going to stop you. I’ve identified the crown gem of the GPU world, and I know that for some of you that’s all that matters. If you’re that person, you’re here: the Titan V will wreck anything you throw at it and make you feel like the PCMR God you are… for now. For the rest of you, don’t buy this one. Even by high-end GPU standards, this isn’t really a sensible value, at least not from a gamer or consumer perspective. 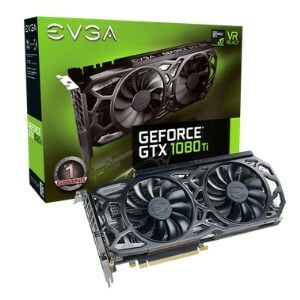 If you want best-in-class performance at a much more reasonable (comparably) price, snag the GTX 1080 Ti instead or you can just get the RTX cards (if you’re reading this in 2019). Trust us...it’s not worth it. While not technically the strongest Nvidia card (don’t worry, we get to that later), this is definitely the strongest Nvidia card that’s still… practical. Practical might be a stretch, though, since this card still retalls for as high as $700 at the time of writing. That being said, this card does occupy a valuable niche in the market. If you’re going to be 4K gaming or 1440p + 144hz gaming, then this is definitely the card you want. It’s only marginally slower than the Titan V, but retails for a fourth of the price. For all but the most dedicated Team Green Enthusiasts, this should be the graphics card that you’re looking for. AMD’s most powerful GPU offering at the time of writing, the RX Vega 64 is a pretty strong card. In particular, it excels at 1440p gaming, VR gaming, and 4K gaming. This card was built as a rival to the GTX 1080, and remains a viable counterpick to this day, depending on which card happens to be priced better at the time. If you want to make the most of your RX Vega 64, we recommend looking into a better cooling solution. The stock cooler lets this card run hot, hotter than most people are comfortable with, so we chose a non-stock design for our pick above to help mitigate some of the card’s weaknesses. Just make sure that if you’re buying this card, you’re doing high refresh rate gaming or at least 1440p/VR gaming. This is overkill for a 1080p card-- if you want one of those, keep reading. If you want a great 1440p gaming experience, we recommend the 1070 Ti. While the 1070 Ti trades blows with the Vega 56, it’s generally faster and cheaper. The 1070 Ti occupies a strange middle space between the GTX 1070 and GTX 1080, though in recent months many believe it supersedes one or both cards entirely, depending on if you’re buying for 1440p (1070) or 4K (1080). In addition to stellar 1440p performance, the 1070 Ti will definitely bring the goods in VR and 4K as well. While it certainly has a way to go before beating the 1080 Ti (it’s about 34% less powerful than its older Ti brother), it is also much more reasonably priced for most consumers. Still expensive, but not 1080 Ti-expensive. Another great option for 1080p gaming is the RX 580. While not as cheap as the 1050 Ti, it’s easily the best value pick on the market right now, trading blows with both models of the GTX 1060 and leaving the 1050 Ti pretty far behind. You can even get away with playing a lot of games at 1440p with this card, but you’ll obviously need to make compromises in settings and framerates with this card. If you’re only gaming at 1080p, though, this will definitely be the best experience. Only the most unoptimized games should give you trouble with this card at that resolution, and with the right CPU, you should even be able to drive many 1080p games on 144HZ displays with this card. If you want the best value, there’s no question: the RX 580 is it. Here’s a great pick if you’re like most people and still using a 1080p display! The GTX 1050 Ti can’t necessarily max out everything at 1080p-- there are still a few outlier games out there-- but it should be more than enough for reliable high-to-max settings at 60FPS in most games. Plus, if you want to save money, this is the cheapest card on this list by a considerable margin, retailing for only $190 at the time of writing. 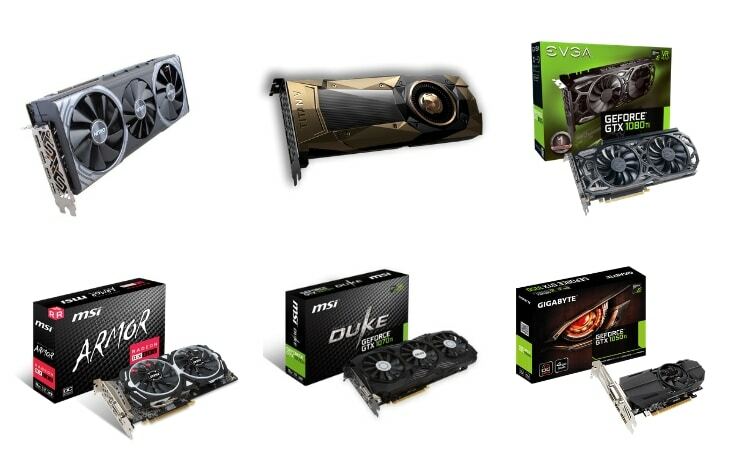 We hope our guide helped you pick out the best GPU for your needs to close out the year. Feel free to comment below and let us know if you need any assistance: we’re always ready and willing to help! Otherwise, do you agree with our selections? Is there anything you would add or change? We’re welcoming any and all feedback, so feel free to sound off! What is G-Sync and is it worth it?